Here are some more new cheap finds & Target Deals with new insert coupons. Please Remember- all insert coupons have the potential to be regional and prices can vary by region, but here ya go! For more current nice deals you can find at Target- see my Cheap Finds Page. If you are short on coupons or did not get what you hoped for in your inserts- you can use a clipping service – I recommend MyCouponHunter or for whole and uncut Inserts there is Katie of SundayCouponInserts.com. You can also search for coupons on eBay. For those of you who missed the Recipe Makers Coupon a few days ago that disappeared- it’s back. And it is also new- even for those who printed it before. This coupon is valid for $1.00 off any ONE (1) KRAFT RECIPE MAKERS Product. We still have our $1/1 Kraft Recipe Makers cooking sauce 12.2- to 18.2-oz. Target Coupon x1/4 to stack with as well. The Kraft Recipe Makers sell for $2.99 Regular Price at Target, so just .99 cents after stack. -$1.00 off JOHNSON’S Baby NO MORE TANGLES product. NOT FAMILIAR WITH TARGET CARTWHEEL? This savings program introduced by Target allows you to save even more when shopping in-store. Even better- these offers can be used with Target Coupons AND Manufacturer coupons for up to a triple stack! You can see my post HERE to help get you started. 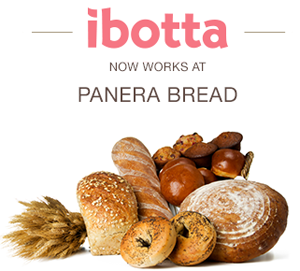 If you have the FREE ibotta app, there are new ibotta offers available in the product gallery. If you don’t yet have ibotta, it’s a great way to earn extra money while shopping and you can sign up HERE and download. Be sure you have updated to the latest version of ibotta to take advantage of the latest features. A special note to Android users, there is a bug with Google Play that is causing problems with the latest Android version of Ibotta. To solve this problem, please make sure you have the latest version of Google Play installed. Earn up to $1 when you spend $10 at Panera Bread. Offer requires minimum spend of $10 on a single receipt. See ibotta app for details. Earn up to $0.50 when you spend $5 at Jamba Juice. Offer requires minimum spend of $5 on a single receipt. See ibotta app for details. If you’re a new ibotta user, check out my post HERE to take advantage of the new Welcome Bonuses and earn $10 for redeeming 10 offers! If you are not familiar with the ibotta app, it is a fun and easy way to earn extra money while shopping as you get rewarded with cash for buying select products at over 50 retail chains and restaurants nationwide. If you don’t have the ibotta app yet, you can sign up HERE and for complete details on how this great program works, you can check out my post HERE. Here’s what has been spotted on clearance this week along with any coupon matchups I could find. Remember- clearance can vary greatly from store to store– there is no guarantee you will find the same or for the same discount that those who contributed to this post have. But I try & list specific varieties, prices & other details when I can, since not everything gets stickered and sometimes it’s worth a quick scan to check. Some Target Cartwheel Offers do exclude clearance but it can’t hurt to browse thru to look at those offers too just in case. Keep sending us those emails and photos of your clearance finds and we will try to include them in our Thursday roundup whenever possible. Contributions are always appreciated! 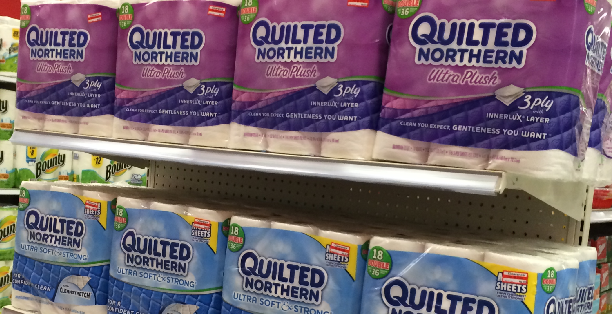 HOUSEHOLD: Phoebe found Quilted Northern Bath Tissue in Ultra Plus and Ultra Strong varieties, 18 double roll packs at her store on clearance for 15% off marked down to $9.34. If you find them too- we have a 20% Off Quilted Northern Bath Tissue Pack Size Target Cartwheel x12/28 that does not exclude clearance, and you can watch a video and play a game HERE to get a .25, .50 or .75/1 Quilted Northern Ultra Soft & Strong 4 double roll or larger. 60% Off Crayola Washable Markers Target Cartwheel – Crayola Washable Markers are $1.99 – $2.49 Regular Price. Buy 3- and use a $1 with a $5 purchase of any Crayola Products or HERE to pay as low as $1.39 for 3 or around .46 each. Great Stocking Stuffers! 40% Off Dunkin Donuts Coffee in Seasonal Flavors Target Cartwheel – Dunkin Donuts Bagged Ground Coffee is on Price Cut for $6.89. Choose from Pumpkin Spice, Mocha Mint, Apple Pie, & Gingerbread Cookie. You can buy 2, use a -$1.50/2 Dunkin Donuts Coffee Bags 11oz+ 10-27-13 RP and pay $6.77 for 2 after stack or $3.39 each. 40% Off It’s So Me Activities Target Cartwheel – Can stack with $2 off $10 or higher It’s So Me craft kit Target Coupon (no longer available) x12/24 and pay as low as $4.80 for a $10 kit. 40% Off Giada de Laurentis Cookset Target Cartwheel – Can stack the 20% off Giada De Laurentiis™ for Target® kitchen item Target Coupon x1/4 or on the Shopkick App x12/27 for some big savings! There’s lots more to choose from- and don’t forget for the home cartwheels there is also a $5 off Home purchase of $30 or more Target Coupon x1/4 you can use if you meet the threshold. If you are looking for some last minute easy and fun Holiday crafts to do with the kids – there is a new price cut on several different craft kits – that ranges from about 20-30% Off regular price- with kits as low as $4.00. We also have a 30% Off Kids Holiday Activities/Crafts (excl. Clearance) Target Cartwheel x12/21 to stack against this sale to save even more. We got a few nice high-value cartwheels yesterday for cookie dough, plus some manufacturer’s coupons to stack on the Pillsbury to make for some nice savings. Here’s a few deal ideas for you…. 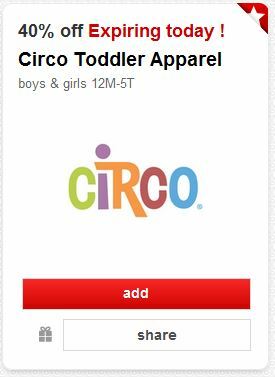 There is a new Target Cartwheel today for a whopping 40% Off Circo Toddler Apparel (limit two items) x12/18. I don’t see a limit on the number of people who can load it – but I wouldn’t wait. 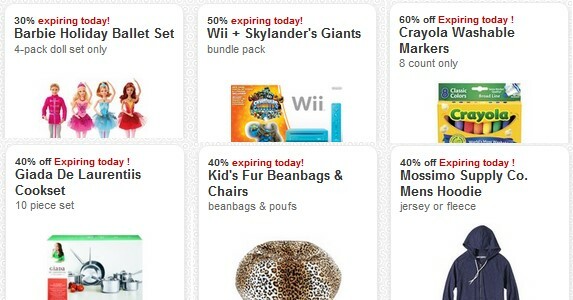 If you have interest – add this Target Cartwheel now if you think you will be using it. This offer is valid today only and there is a limit of 2 items per guest. If you are still looking for candy for stocking stuffers or class exchange- the Fun Size 11 oz bags of Holiday M&M’s & other cute M&M’s Character Candies are back on sale agan this week thru 12/21…. There is also a .50/2 Mars Brand Candy Bar, single-serve or sharing-size Target Mobile Coupon x12/27, however I tried it on the Minis Tubes and it did not work for me- but let me know if it works on any of the holiday stocking stuffers for you.